This week we installed these great looking modern style Victorian Ash boardroom tables custom made to our clients requirements. 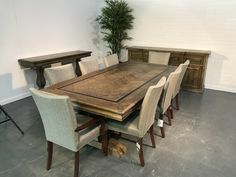 We were contact just 28 days ago by this company and they had a deadline of 30 days to have their new boardroom table installed and set up, ready for some important functions they had planned. 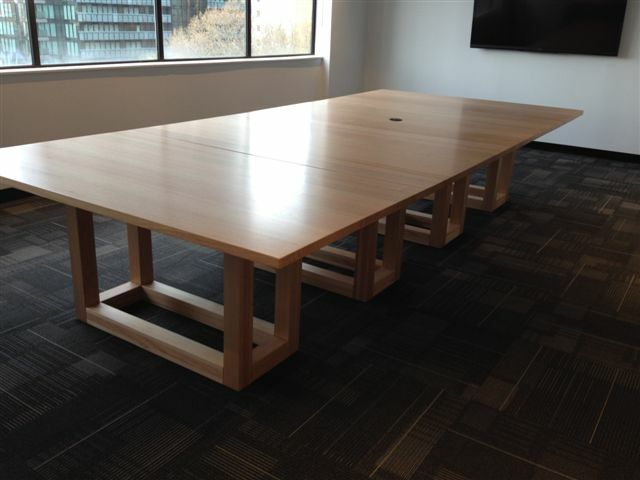 My team member Robert took the call and quoted the tables within 8 hours and committed to completing the project prior to their deadline. As you can see they look terrific. 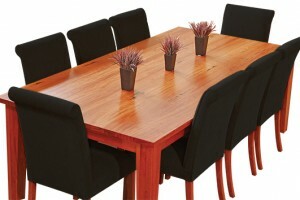 They have been made in four sections as per the design brief to create great flexibility in their boardroom and office. 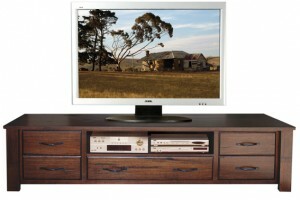 We handled all logistics and on site installation. “Hi Robert, Just a quick note to say thank you for all your assistance in getting these beautiful tables to us. We really appreciate the quick turnaround time from order to delivery. A quality product and service we would be happy to recommend. Thank you. 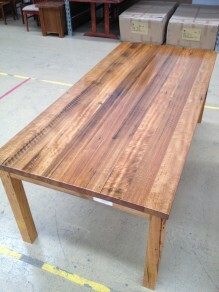 The vast majority of the furniture I sell is hand made in Melbourne. 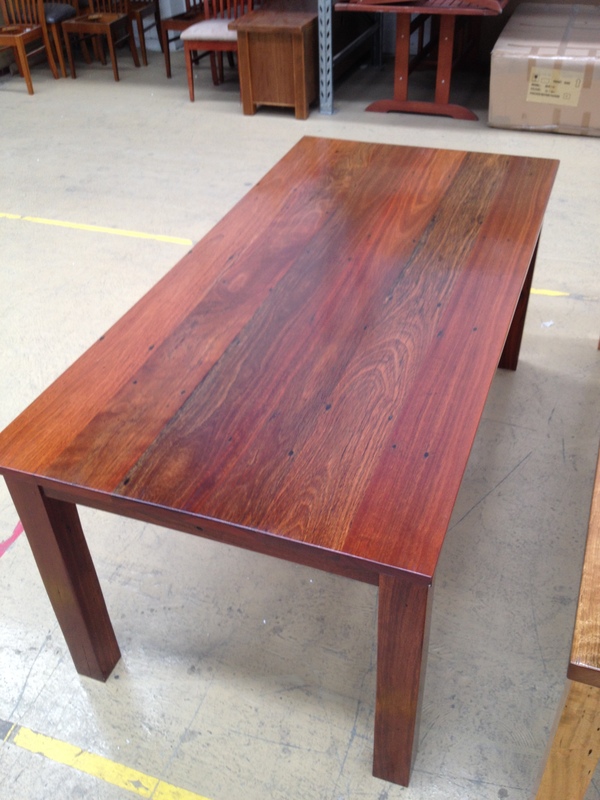 Over the last few years I have meet many talented furniture makers and the young guy who made these tables is one of the best. In fact I’d say his a perfectionist. I spent a day with him a couple years ago watching him make tables. He carefully selected the boards and then used a special technique of wetting the boards with some special mixture so he could predict the approx. colours of the table boards once the oiled finish would be applied. He repeated this process many times, moving boards left and right until he was satisfied the final result would be the best it could be. 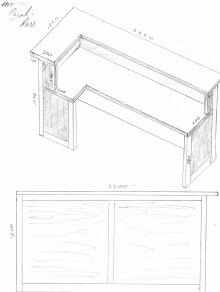 When it came to making the frame, I recall him measuring corner to corner to the exact mm to ensure the base frame and legs were perfectly square. 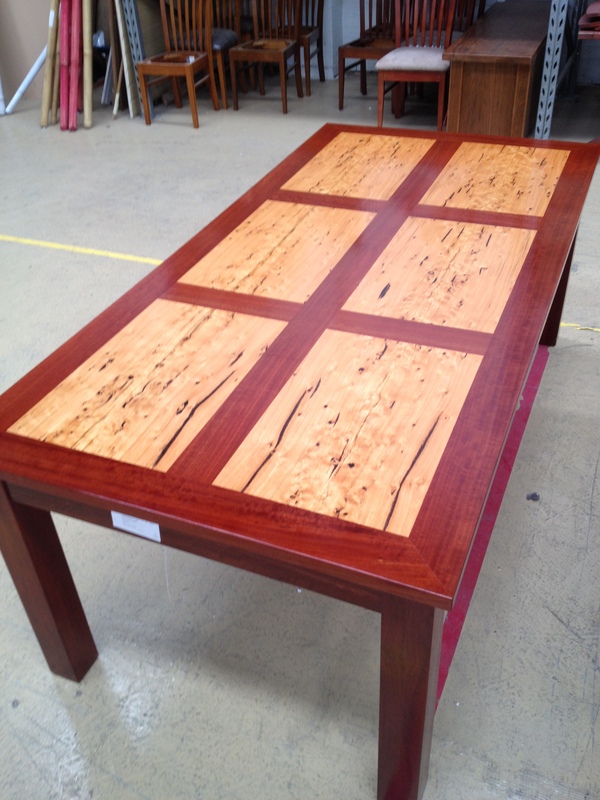 I could literally watch him for days as he pursued with passion the perfectly crafted table. I have a handful of tables available for sale at the moment a which are one off creations, handmade and finished in a special oiled finish for a superb look. 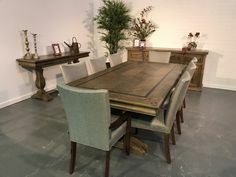 I cant order special sizes on these they are unique tables, as displayed. 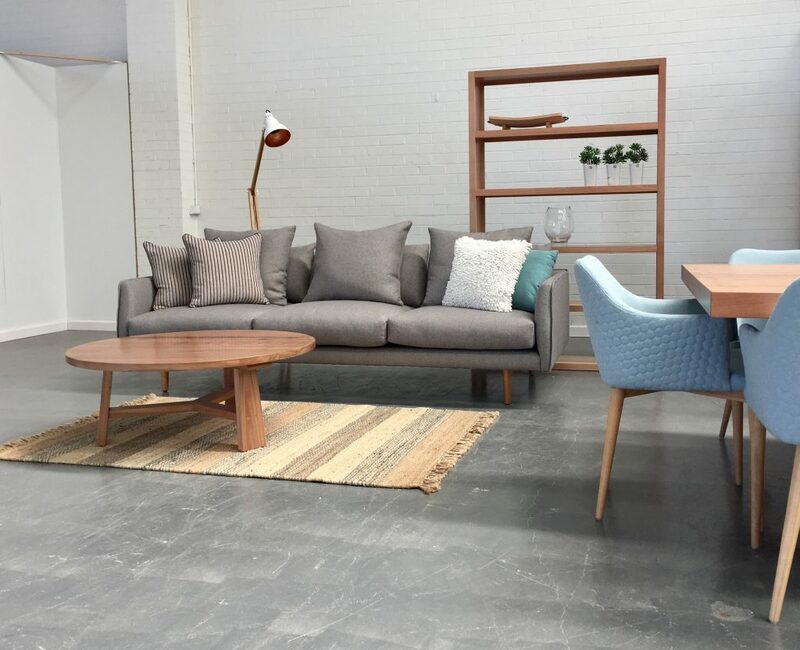 If you like any of these pictured tables they can be viewed in my showroom in Nunawading normally priced at $5000 plus these will be available for $3999. 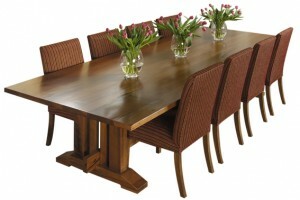 But its first in best dressed so please call to check if any have been sold. 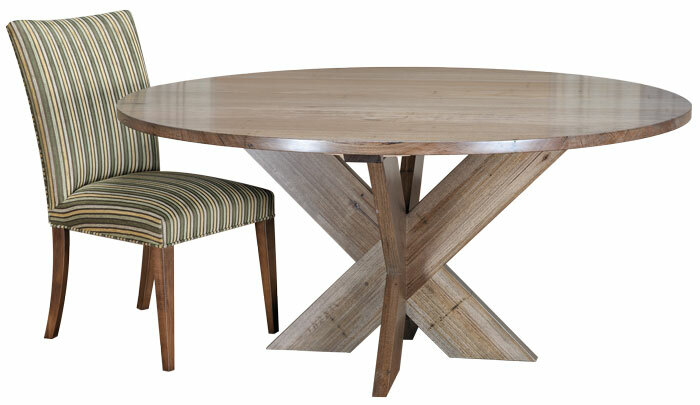 We have a huge selection of chairs which we can prepare to compliment these tables to make a truly unique setting for your home. Thanks Mark. 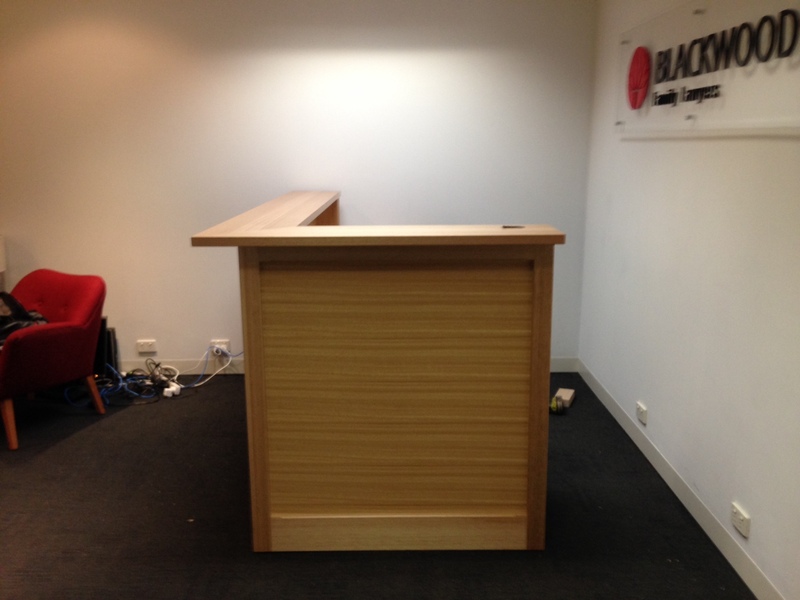 This week we installed a reception desk in the city. 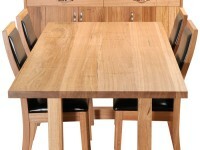 Made to specification and sizes to suit our client. 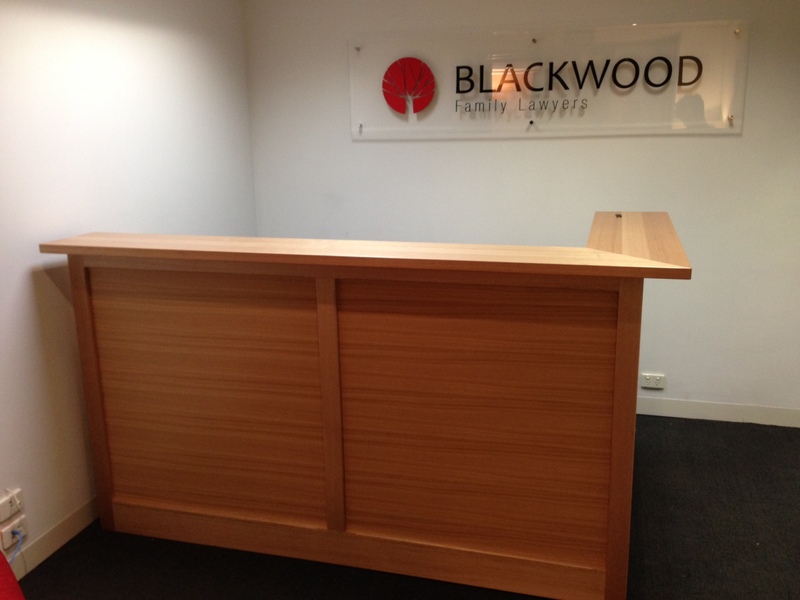 The reception desk was constructed in ash and ash veneers and stained clear. 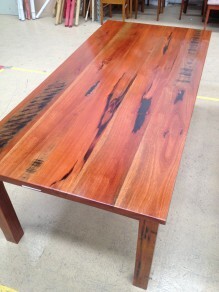 We can custom make these desks in redgum, ash, messmate, jarrah and other timbers. 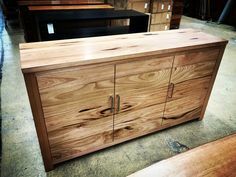 We can also make complimenting items for your office including work desks, bookcases and library units, credenza’s, side units and of course solid timber boardroom tables. 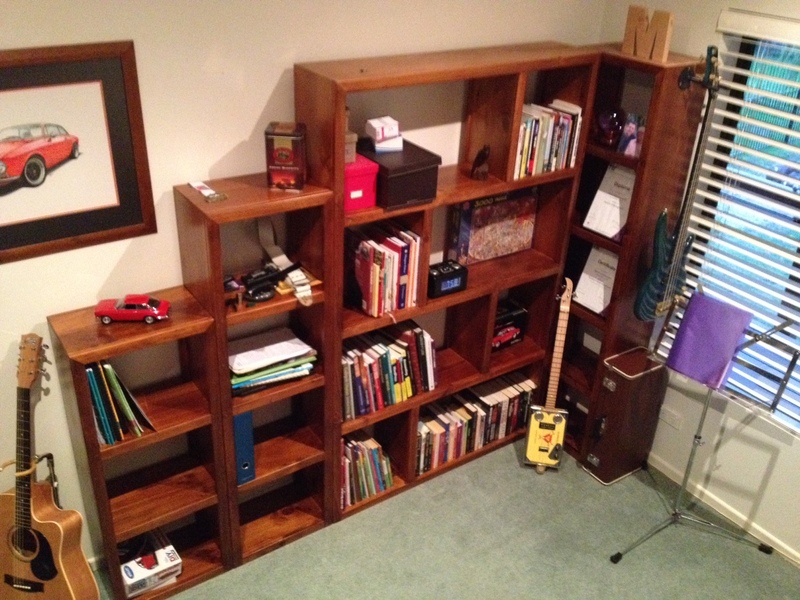 If you need some office furniture please get in touch. 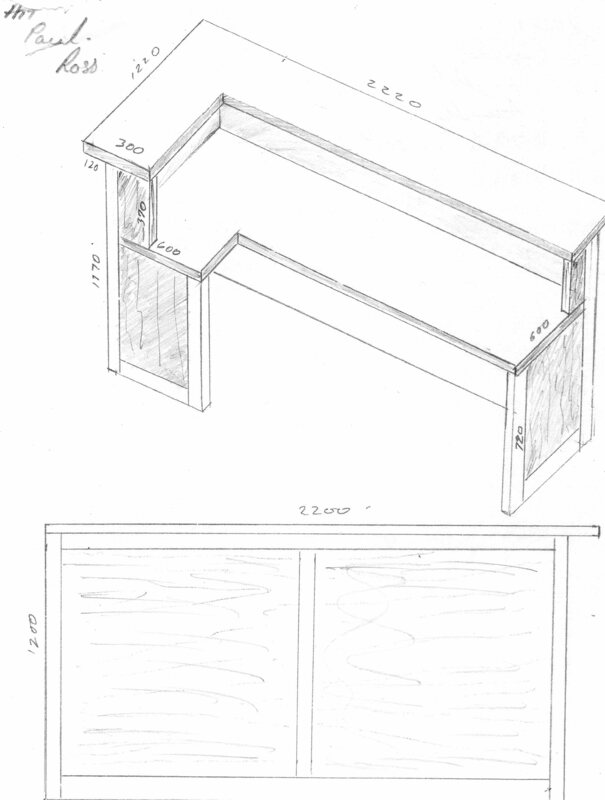 We will be happy to help out with concept design and onsite installation. 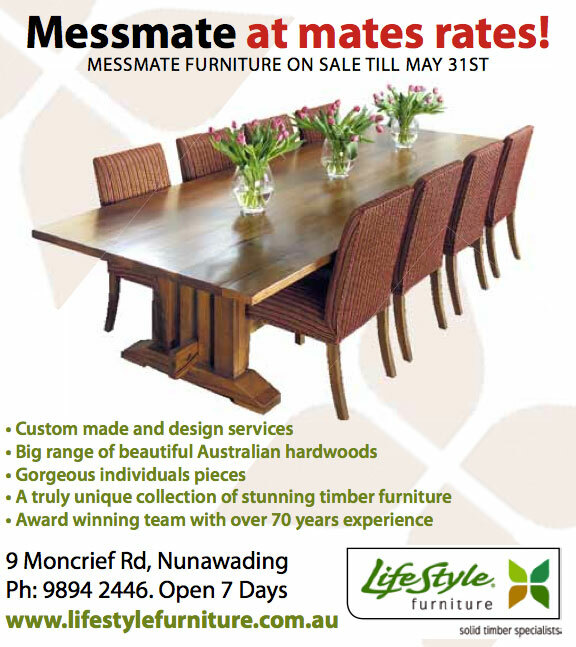 Lifestyle Furniture Timber Furniture Melbourne’s photostream on Flickr. 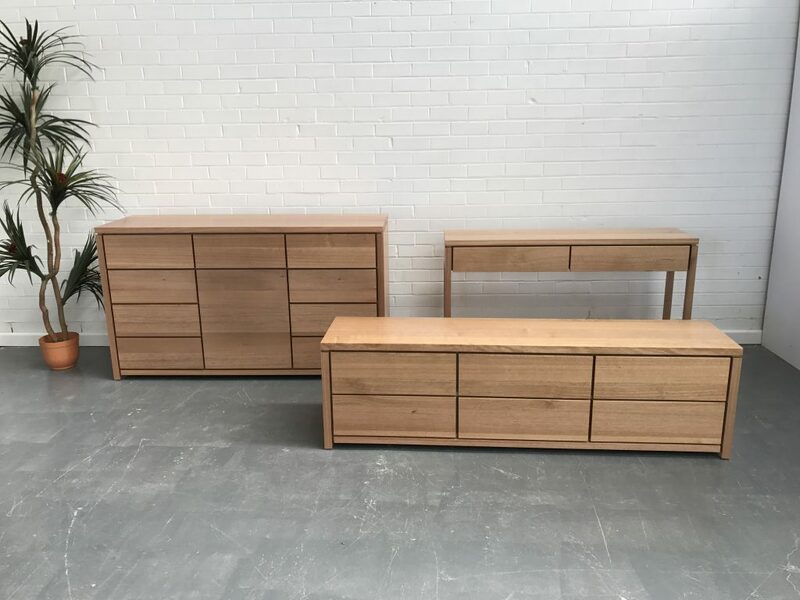 You can take a look at my snap shots of completed projects, some timber pictures of things I just like and the odd picture of timber furniture which is not mine but I liked enough to add to my photos. Here is a great looking setting we delivered last week. Thanks to Belinda for sending in the photo. 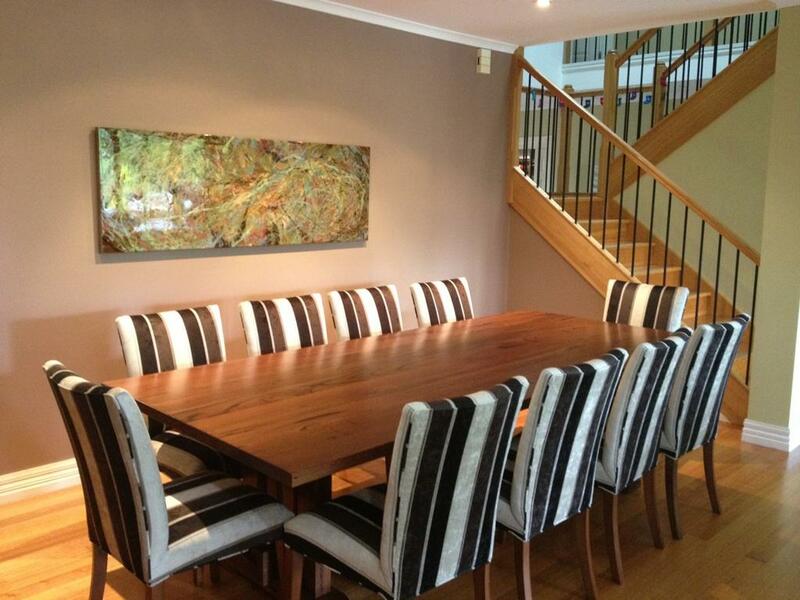 The recycled messmate table is 2700mm long and the locally made chairs feature this bold stripe from Warwick Fabrics. It looks absolutely terrific and I’m sure Belinda will get plenty of positive comments entertaining friends and family over the festive season.